"LONDON, England (AP) -- Richard Wright, a founding member of the rock group Pink Floyd, died Monday. He was 65. 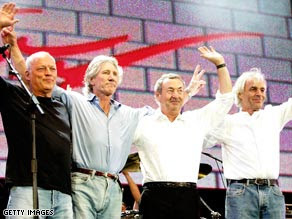 Richard Wright (right) and a reunited Pink Floyd earn cheers at 2005's Live 8. Pink Floyd's spokesman Doug Wright, who is not related to the artist, said Wright died after a battle with cancer at his home in Britain. He says the band member's family did not want to give more details about his death. 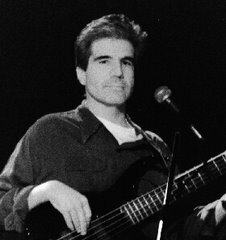 Wright met Pink Floyd members Roger Waters and Nick Mason in college and joined their early band, Sigma 6. Along with the late Syd Barrett, the four formed Pink Floyd in 1965." Richard Wright is at far right in the photo above.